June 30th – Massachusetts Growth Capital Corporation visited Brockton’s Ockers Company to announce a working capital loan to the company. 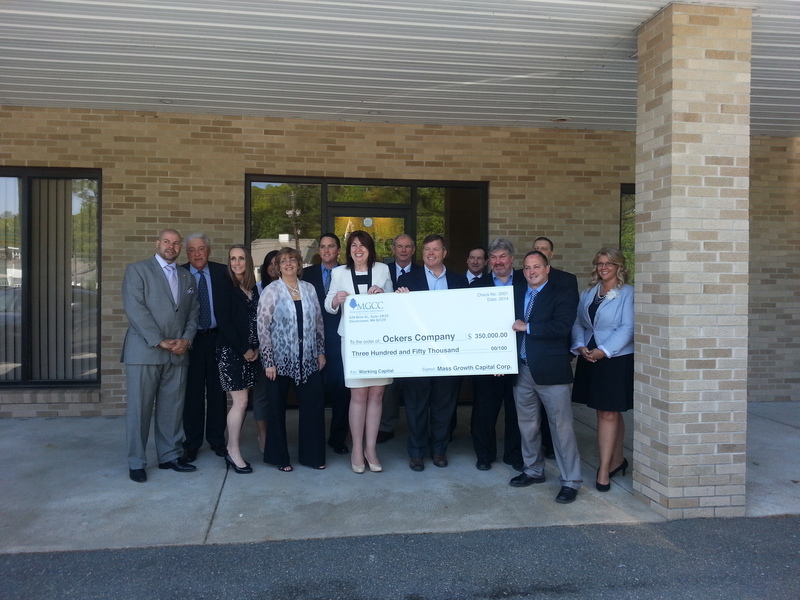 A check presentation at the information technology company included (from left to right of the check) State Representative Claire Cronin, Mass Growth Capital’s Neil Martin, State Representative Michael Brady, and Ockers President & CEO John Houser. For more information on Mass Growth Capital Corporation visit www.massgcc.com.